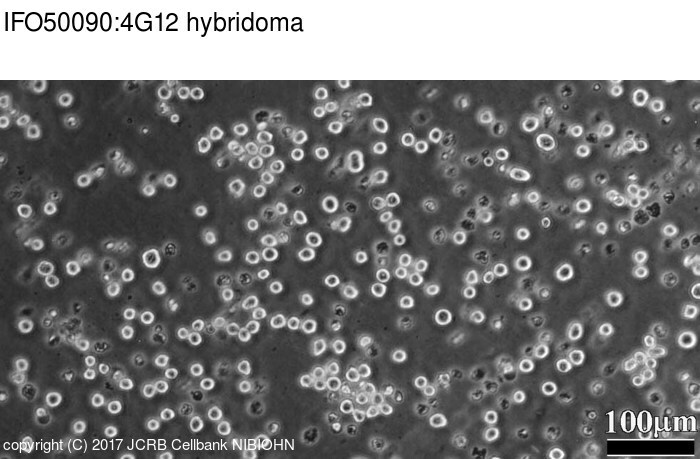 This cell line produces human monoclonal 4G12 antibody (Ig lambda). 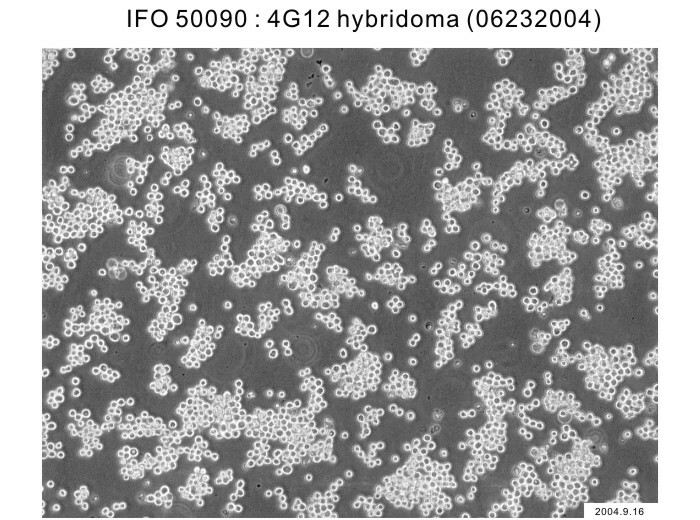 The 4G12 antibody recognizes a glycoprotein with Mr = 65,000. Immunohistochemically, 4G12 reacts especially with lung carcinomas and with some malignant tumors. Establishment of internal-image anti-idiotype monoclonal antibodies to a human antibody to lung cancer. Characterization of a human monoclonal antibody with broad reactivity to malignant tumor cells. RPMI1640 medium with 4% fetal bovine serum(GIBCO 3762782S). Pipetting or trypsin treatment. A portion of cells strongly adhere to substratum, and is hardly to detach by pipetting. Free. Pretreated with MC210 in this lot only. G6PD, NP, MD. Human-mouse hybrid confirmed.